Kikizo: How difficult was it to develop the engine into high definition display? Did you have to redo models or textures? Itagaki: Of course, when things are HD everything is shown... if you have ugly people in HD it's going to show all their flaws, and it might not be appreciated by people. 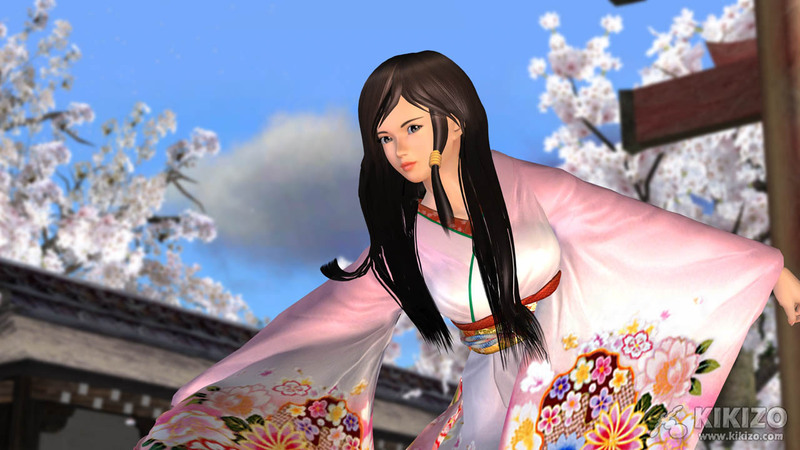 But with DOA, since my girls are all cute and pretty, HD only enhances the look... [in English:] so there are no worries! 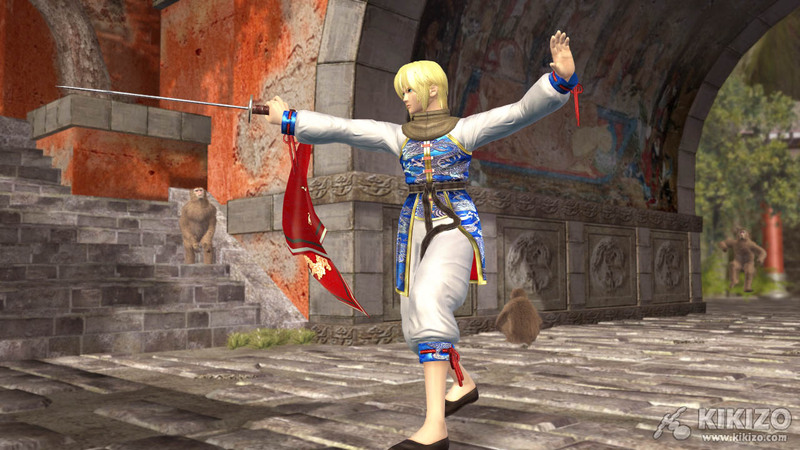 Kikizo: After DOA Ultimate, online play for DOA4 is pretty much a foregone conclusion. Are there going to be any enhancements in the online play compared to DOA Ultimate? 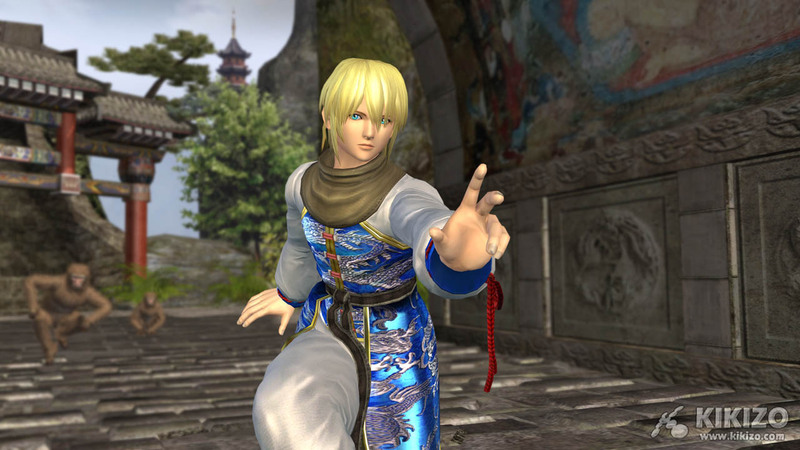 Itagaki: There are going to be many new features added to DOA4 Online and I plan to disclose what they are soon. Kikizo: Are there plans to expand the game with mini quests or story modes or things like that? Itagaki: Yes, there will be a lot. Kikizo: Can you give any details on that just yet? Itagaki: The story is based on a 'family affair'. For DOAU it focussed on Ayane and Kasumi, but for DOA4 there's more about Helena and her family. Kikizo: Do the new characters come into play in Helena's story then? Kikizo: How well do you think this series would do if it was visually just average-looking? Itagaki: For us such a question doesn't make sense, because our job is to create an interactive experience with the visuals and sound and everything combined. So for our game not to be the best looking game in the world is inexcusable, and we're not doing our job if that's the case. I don't believe that the playability or the game concept of DOA is better than a board game of some sort - like backgammon - but the reason we sell more is because of the visuals and sound that you get when you play on the TV. So to say it in a different way, if you take the visuals that TV can provide away from the game concept of DOA, compared to traditional games like chess or whatever, there is no way that we can beat such things as chess. So, for you to even ask how would the game would play with average graphics, it's almost like saying, take away the visual and sound from the TV in the videogame and then how will it sell, it's similar to that. Kikizo: Sure, but I mean, there have been many average-looking and some average-playing fighting games, and I suppose this was a way of asking the question, do you believe in DOA's gameplay as much as its visual prowess? Itagaki: If you're talking about the playability, of course I think DOA is one of the fairest games you can play. It's so fair that I don't mind putting in my own money to play. But to go back to the point that I made earlier, as a videogame designer, having the graphics through the TV set and sound, you can't separate that from so-called game concept, or playability or whatever, because the graphics beauty is the reason why you turn on your game and play. Some developers focus too much on improving the system, expanding the features as far as the system goes. Well if they're going to do that, why not make the game look and sound better, because that's what people will look at and, you know, feel. Of course, I have played all types of games, not just videogames - every type of game out there. And for some sorts of games, their industries or the businesses were destroyed because all of the money was rerouted to videogames. People started spending money on videogames, and consequently lost interest in other types of non-videogame games. Well the reason why all the money went to videogames was because of the cool graphics and the sound. So for people who are partially 'responsible' to have destroyed the other game industries, for anyone to say that visual is not as important as game concept, is ridiculous. If you focus just on game concept there's no way you could compete with other non-video games. Make sense? Kikizo: Yeah... we always hear "it's all about gameplay", sometimes undermining the importance of graphics, but I agree that with visually beautiful games sometimes graphics is part of the gameplay - maybe that's like a shallow thing...? But it's not really, is it? 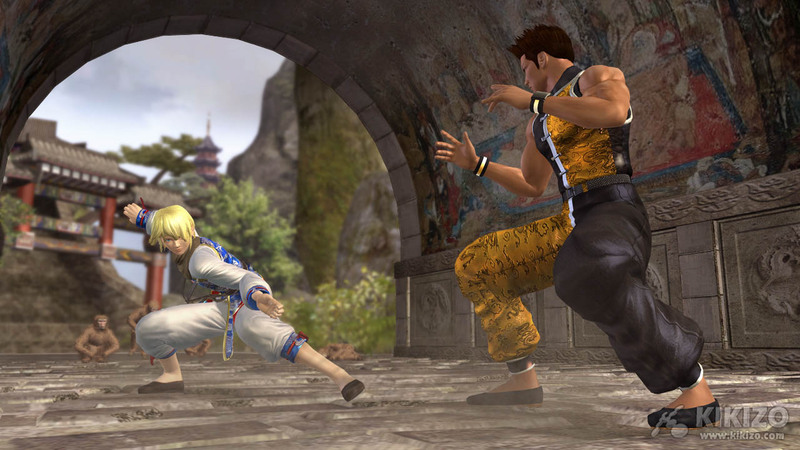 Kikizo: Since there are a bunch of new characters in DOA4 can we expect another DOAX style game any time soon? Kikizo: Are you satisfied with the power of the Xbox 360? Itagaki: I think even Microsoft itself, as soon as this hardware is completed, they will not be satisfied with it, and will start working on the next machine. I have never been satisfied with any machine in my life. It's like a never ending quest for more; human beings reached the moon, now they want to go to Mars - they want to keep challenging themselves more and more. Kikizo: So is there anything else you would like to comment on about Xbox 360 development, maybe something you encountered that you didn't expect, that's interesting to talk about? Itagaki: For one, I received a Mac development machine from Microsoft - and so I realised for the first time that they [Microsoft and Apple] were actually good friends! That's what surprised me the most. In testing the game, we overheated the machine - and broke a bunch of them! Kikizo: Are the kits expensive? Itagaki: Very expensive! But the problem is, that I broke many! Kikizo: Ha ha! Oh dear. So, how do you feel about your unquestionably increased fame in the industry over the last few years? If you go back ten years ago to DOA1, you were a smaller name, whereas now everyone knows you, maybe because of the interviews you do! So how do feel about that? Itagaki: Well for me - myself, games, it's all the same thing - it's one thing. Even when I was still in college playing Mah Jong, I used to have like thirty people behind me in a gallery watching me play - so I am kind of used to that! Kikizo: I heard that your wife is very attractive. How does she feel about the attractiveness of all the DOA girls? Itagaki: She doesn't hide anything... she gives me a straight opinion about whether she likes the character or not! Basically she likes the DOA girls. Kikizo: That's good, it would be unfortunate if she got jealous - if there was this whole jealousy thing...! Itagaki: Yeah... I think at around 1999, the DOA girls had sort of surpassed real people, with some females even feeling jealous of their existence! But you know, my wife doesn't get jealous any more. But it was difficult until the DOA girls reached that status! Once again, thanks to Itagaki-san, and of course the fine people at Tecmo who continue to risk their own personal security by talking to freaks like us just to make interviews like this possible! We'll be bringing you much more on Dead or Alive 4 and all other forthcoming Team Ninja projects very soon. Not only that, we'll be keeping you up to date with other developments at Tecmo in our next exclusive interview, this time with Keisuke Kikuchi, the producer of both Trapt (aka Kagero II), and Fatal Frame 3.